Jeany has more than 30 years’ of experience teaching exercise physiology and the science of movement. Her Yoga classes include many traditional Iyengar as well as Anusara poses in a flowing meditative style. Jeany can be reached at (541) 272-0489 or at jeany@yogajeany.com. Tina Watanabe teaches Hatha Yoga, blending several styles with traditional strengthening and relaxation. She enjoys sharing her Yoga with beginners as well as experienced practitioners. Her classes focus on body awareness, mindful intention and a solid foundation of safe alignment building toward more challenging poses within each person’s own range of possibilities. 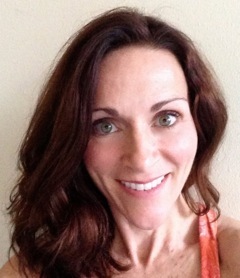 Tina began her career as a physical therapist in 1991, working in various physical rehabilitation settings. While recovering from a serious illness in 1992, Tina took her first Yoga class and was hooked. She loves blending her knowledge of anatomy, movement and exercise with Yoga, and she maintains balance in her own life as a busy wife and mother of three children through her yoga practice. Long beach walks and hikes with friends and her dog are helpful, too. Tina has been a student of Jeany Volk of Volk Studio since 1997, completed an Anusara Immersion training with Sandy Adler and Michele Bulgatz of Freedom Yoga in Eugene and has attended several Anusara workshops, as well as Iyengar and Vinyasa workshops. Tina can be reached at 541-999-6974 or at tbwatanabe@gmail.com.